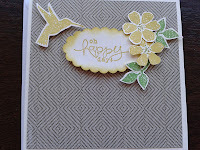 Black, white and more mustard card. 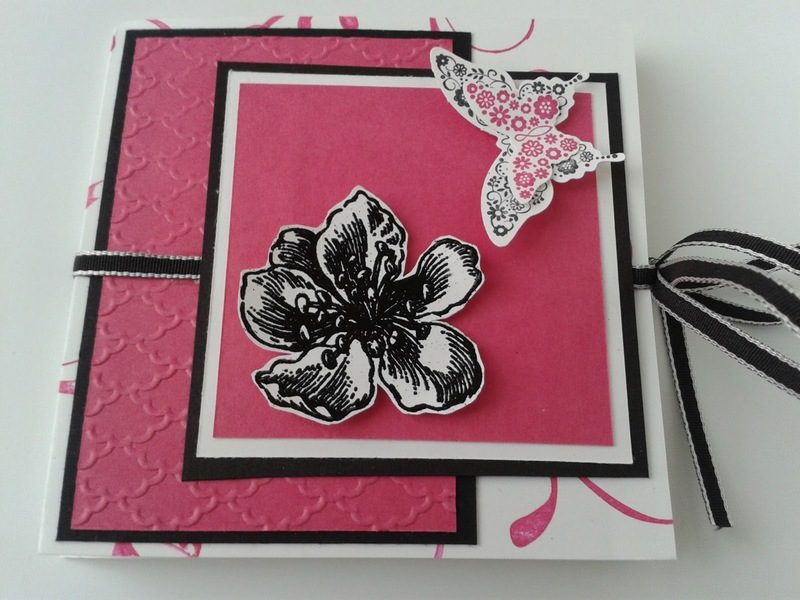 The butterfly is stamped with versamark and embossed with black embossing powder. 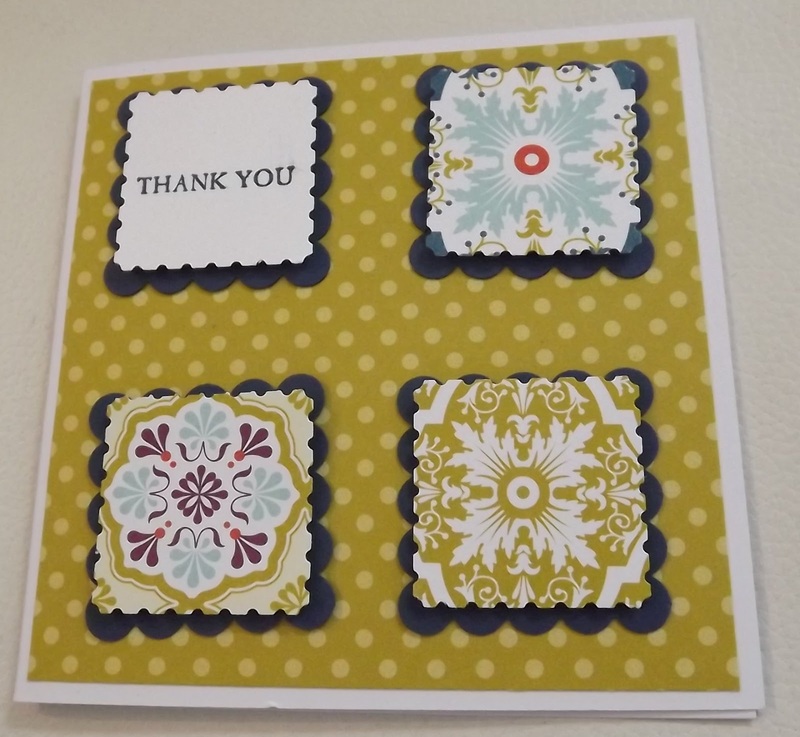 The sentiment is from a retired set and embossed in white. Its just such a stunning card. Well I think so. 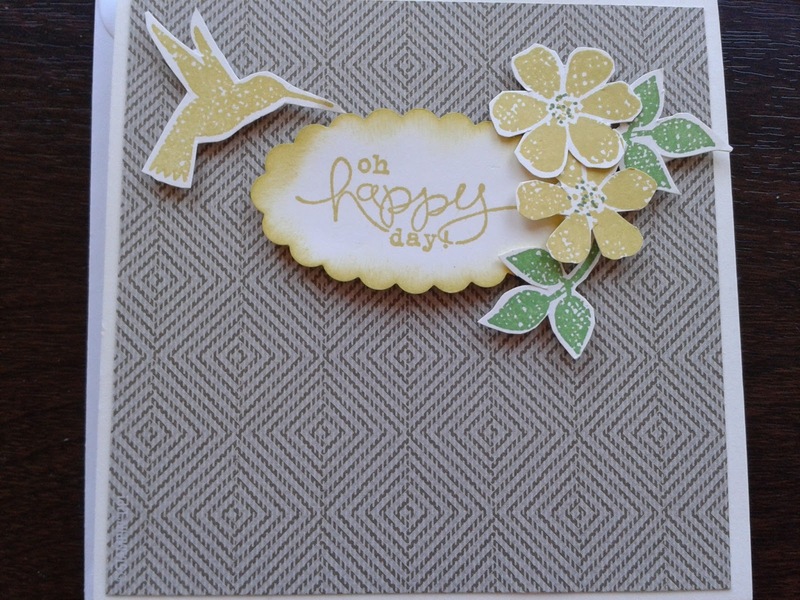 This card matched my mood today. It has been wonderful, the temperature rising from -3 to 8 in the space of an hour this morning and a wonderful walk along the Thornton way with my best friend. Sorry I have missed two days. I have been busy preparing for Saturday shoe box. This post is what I was going to do but cup cakes have taken over........edible ones! Have a look on Saturday at what I have taken to Pudsey. 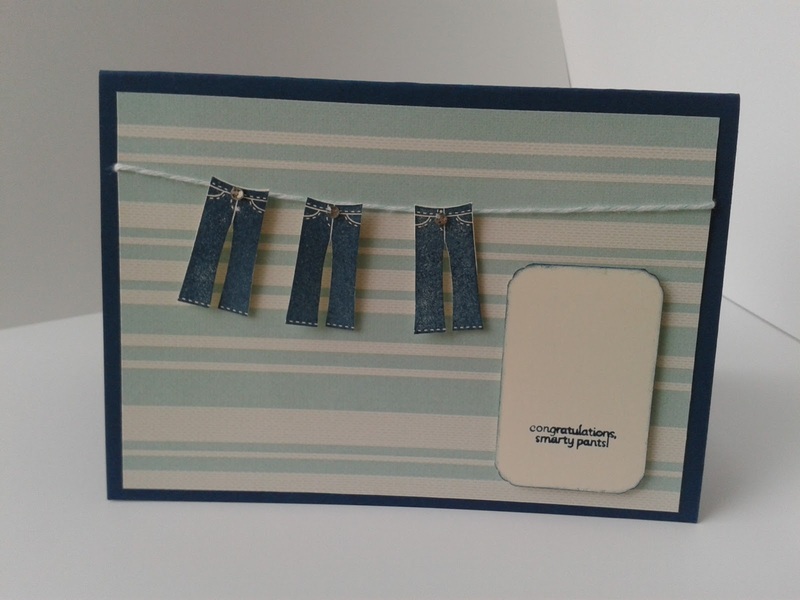 This card uses the Midnight Muse In colours and paper from the neutrals collection.The ribbon and small Dahlia are also midnight muse. 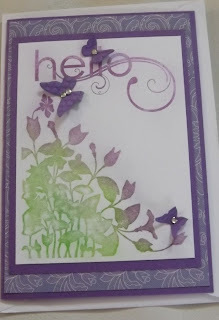 I would have liked to paint the flower with Champagne Glimmer mist but I haven't bought that yet. I enjoyed the distressing and feel I want to take this to a greater level next time. 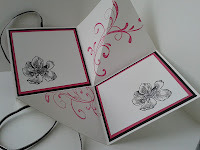 These are my preferred cards but I usually end up with clean simple lines. Artistic tussel? 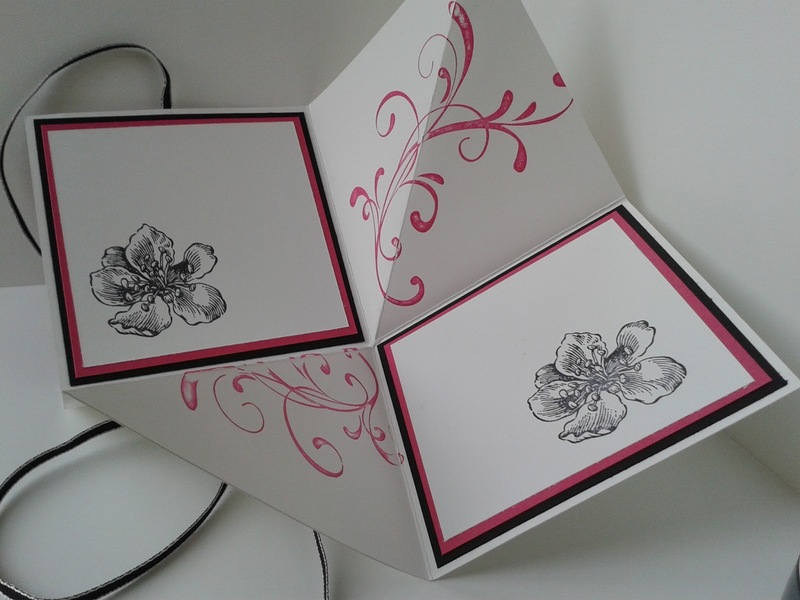 Here are the other 3 cards as promised yesterday. 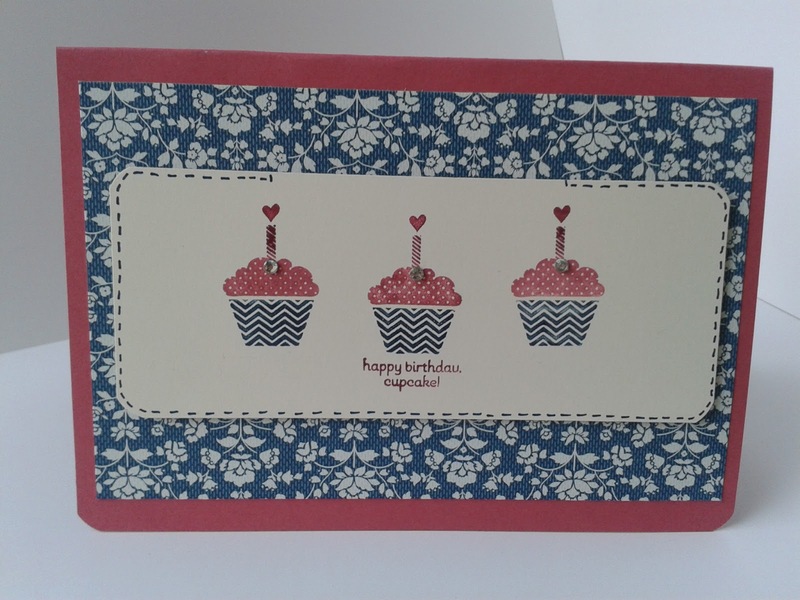 I am really pleased with the cupcake one. I drew the stitching with the midnight muse fine pen nib. The elephant looks very plain but I have run out of the lace trim so thought I would leave him as is. 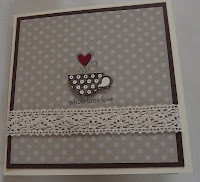 This weekend I wanted to limit my resources and make a set of cards using the patterned occasions stamps from SAB. This would be a £46.50 spend so the stamps come free. 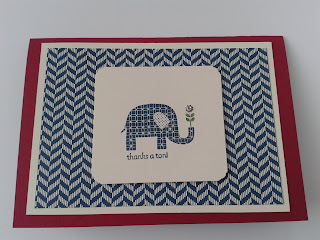 The samples are similar to other card I have posted. 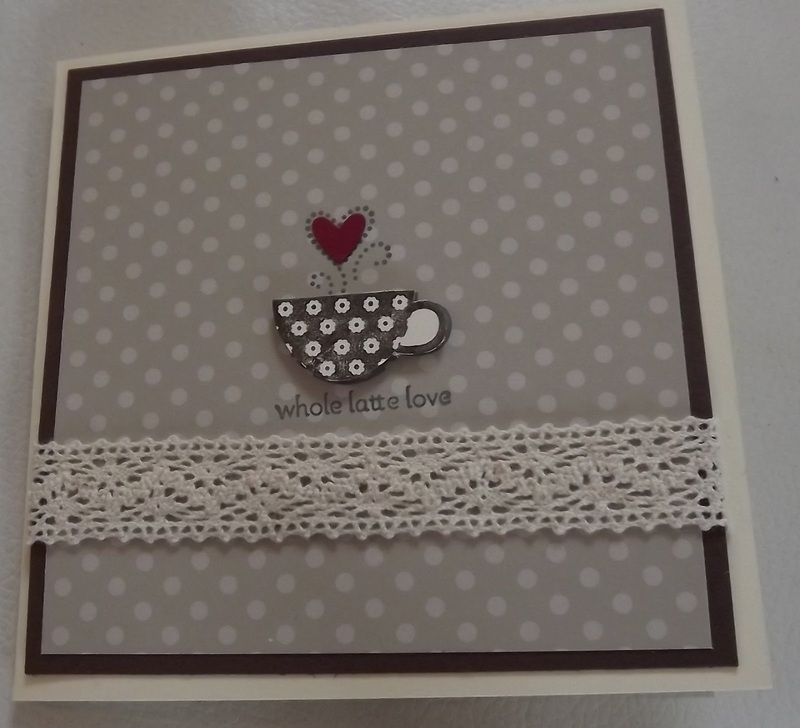 Additional items that could be bought include, bakers twine, bitty butterfly punch, lace trim. Here are 2 of the cards, I will post the other 3 tomorrow. I have kept them very simple.. I have coloured the heart using the fine nib of raspberry ripple rather than punching out using the owl punch. 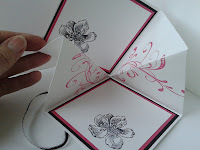 I have used the bitty butterfly punch just to show the difference and how well they go together. See you tomorrow with the other 3. A bit late posting today. This is the card I made a few nights ago when I went to Chris's. She's good at paper folding and I'm not. But this worked really well. Thanks Chris. 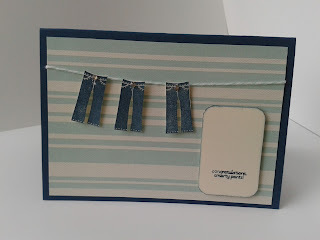 The colours of Melon Mambo and Black work really well together. Just love the lattice embossing folder. Shopping list extends again! Having spent time in the garden this week I was looking for a more spring like inspiration. Using gumball green as a starting point I found lots of pretty papers that had a green theme in the Print Poetry DSP from the spring/summer catalogue. 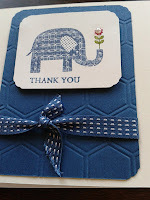 I used the honeycomb embossing folder and created the base. 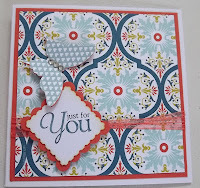 The sentiment is from the SAB vintage verses. 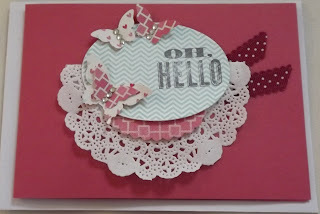 The felt flower is old stampin' up stock but could be easily handmade. This was one of the swaps from our training day, I really like 'little books' and after finding out how it was made from one piece of A4 card I just had to try it out. 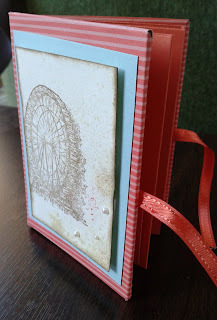 After making the book I decorated the tabs with the 'Bloomin Marvelous stamp set from SAB. Heres mine. There should be a picture of the tab with butterflies on but as I removed it from the box it "pinged" across the room! I can't find it so spring cleaning of the front bedroom is on the cards for next week. My middle son moves into his first unfurnished home next week. So whilst sorting through cupboards for spare cutlery and plates etc I got round to making this. The idea for the house is an idea from someones blog, I have searched all my regular viewing places but can't find it again. If its you, thank you. 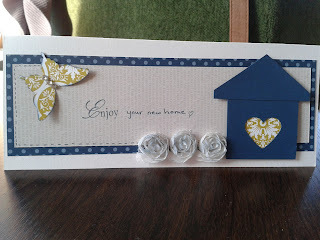 I haven't any 'new home' stamps so hand wrote and hand drew the stitching. Thought I would catch up with a post I meant to do early last week. These are the other three cards the ladies at Midgley made to go in their box. 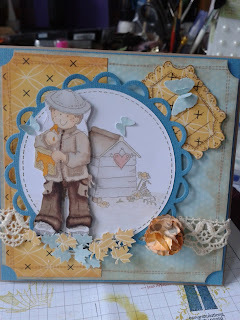 All using the 'in colours' and stamps and papers from Sale-a-Bration. Th last photo I had taken on a dark background and the cards stood out much better but it would only load upside down!!! Not sure why any suggestions? 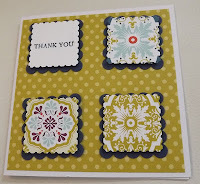 Much as I love stampin up products I have a soft spot for Molly Bloom stamps. 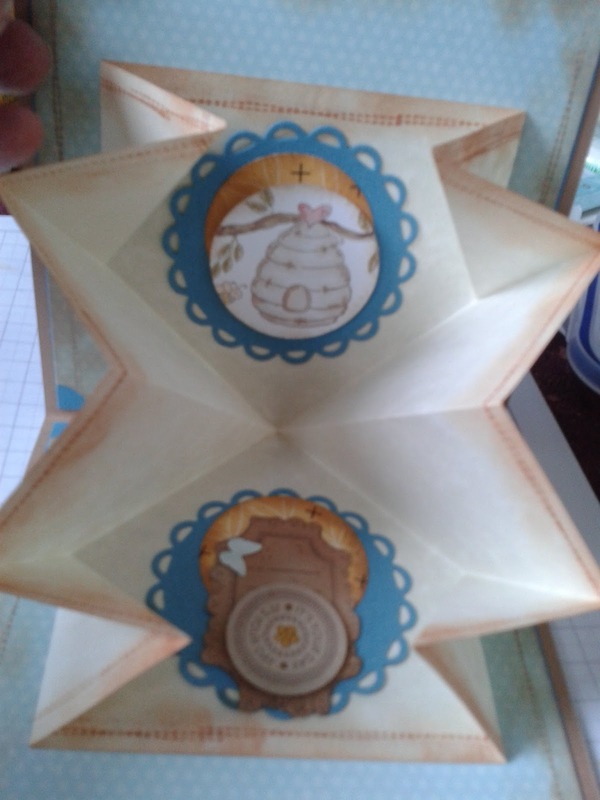 I had a lovely morning last Tuesday at one of Clare's classes making a card using 'Bee Hive George' with a pop up inside. Unusually for Clair no ribbon or threaded buttons! I added some lace when I finished mine off a home. Enjoy the sunshine and the weekend. 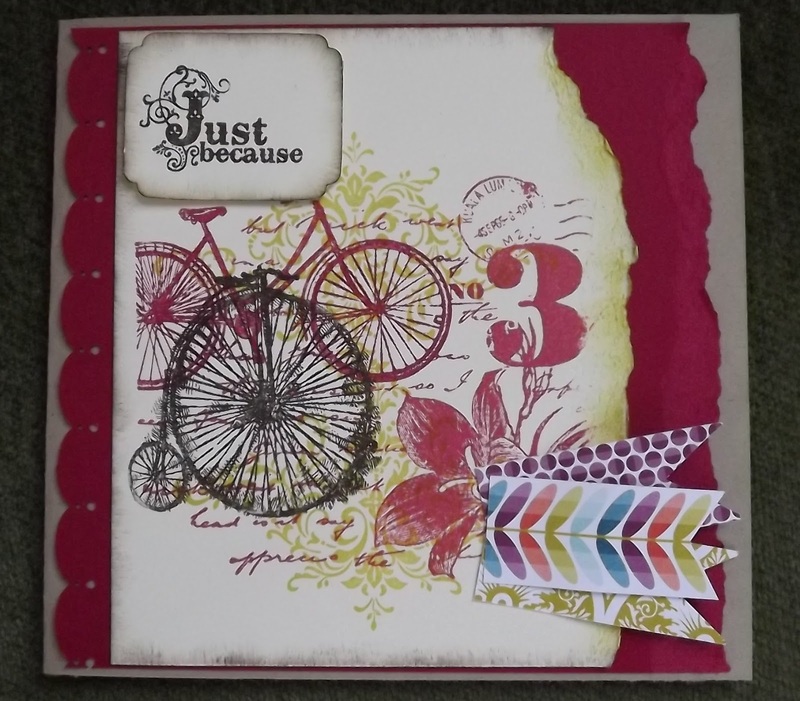 Its another one with bikes on but calmer or cleaner as my friend described the cards I usually make. 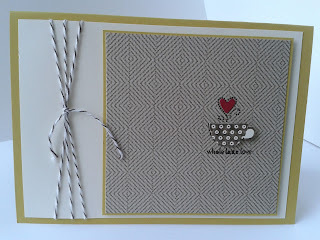 This one is in my favourite colours, crumb cake and chocolate chip. Get the giant pearl, I think I will be using a lot of these in the coming weeks, cheers Julie. I think tomorrow might be pink and flowery, we'll see. 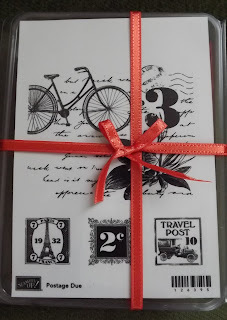 At the all day training with Julie's Jems last Saturday I was lucky to win a raffle prize, this wonderful set of stamps. 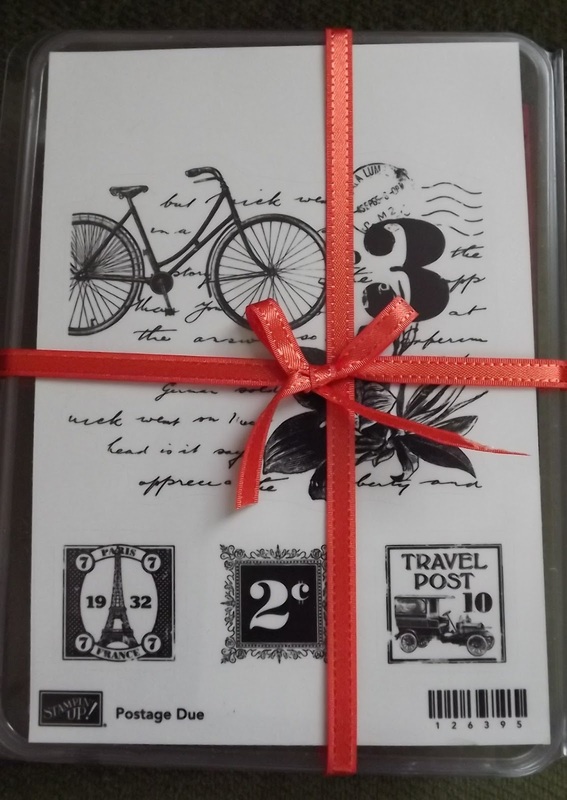 My youngest sons blog gave me inspiration as well as a cry of help for the 'bliss' set of stamps which I went in search of. 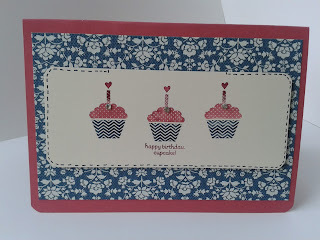 I found the stamps then remembered I had ordered the ones in French so they say 'Joie' instead of bliss!. Perhaps I should have used that sentiment instead of the 'Just because', who knows. So Bob and Natalie in honor of your experiment with screen printing here's my contribution. 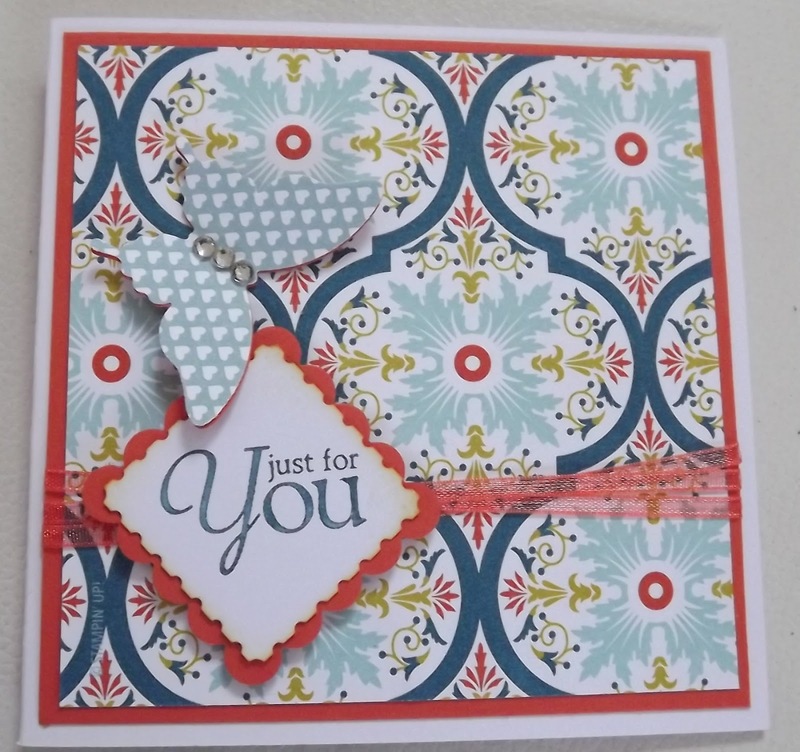 Its snowing hard here we have about 6cm and I am doing a Valentine card making, drop in session at the Fox Inn Bisto at Newbank Garden Centre, not sure I will get many takers! What a weekend. On Saturday I had a wonderful day crafting with the Julie's Jems team. The swaps were amazing and so inspirational. Julie as always had some really well organised projects for us. 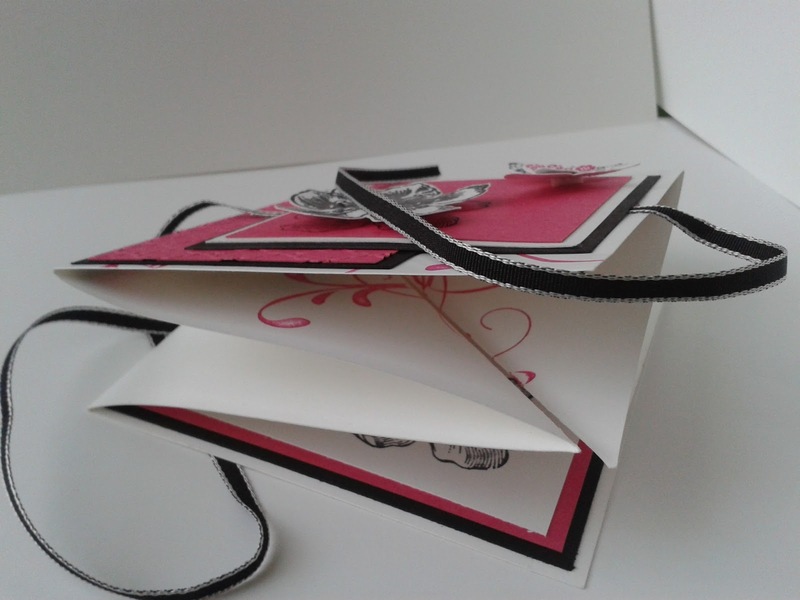 Then Sunday was Valentine day at Newbank Garden Center in West Vale and yesterday the lovely ladies of Midgley made 6 little cards that fitted into the boxes I had made for them. 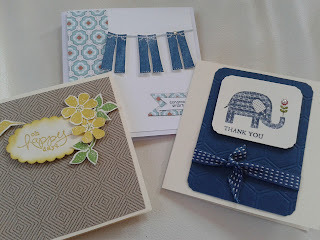 So here are 3 of the little cards that we made. 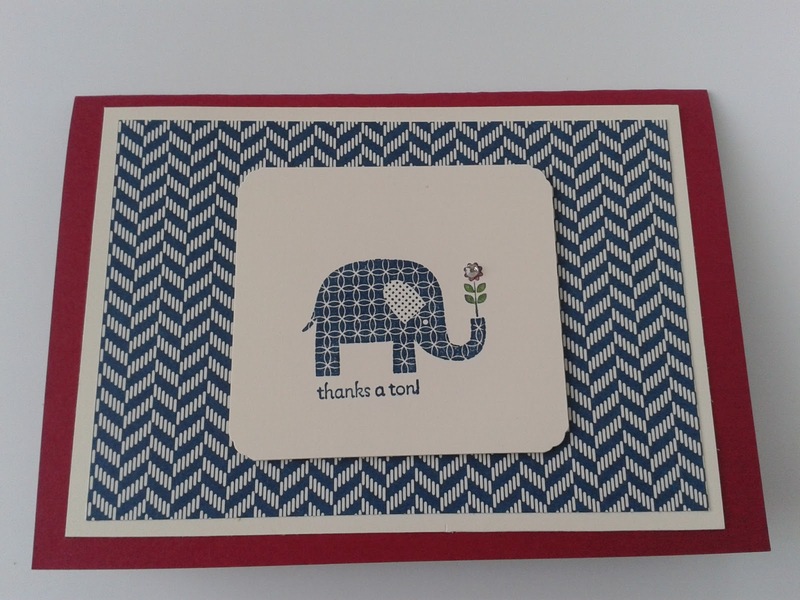 Each card is 3" square. Really struggling to make the text flow around the pictures. Anyone out there who can help it would be much appreciated. I also don't understand why I can't get all three pictures together in a row! At least I have learnt how to get them from the camera to here! Its mega training day and I'm really looking forward to it. This is what we made in January's monthly training evening. 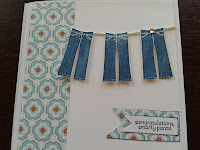 The stamps and detail are from the new spring catalogue. Its really worth a look and I will be posting the link on Monday. I think you will agree they are both lovely. Its the end of the week and I thought I would have a change from ink and get my pastels out. 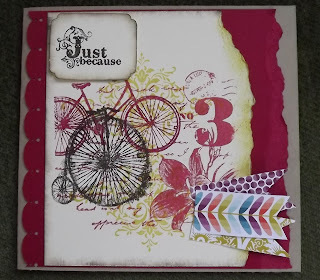 I have a few non stampin up stamps that I use but thought I'd experiment with SU stamps. 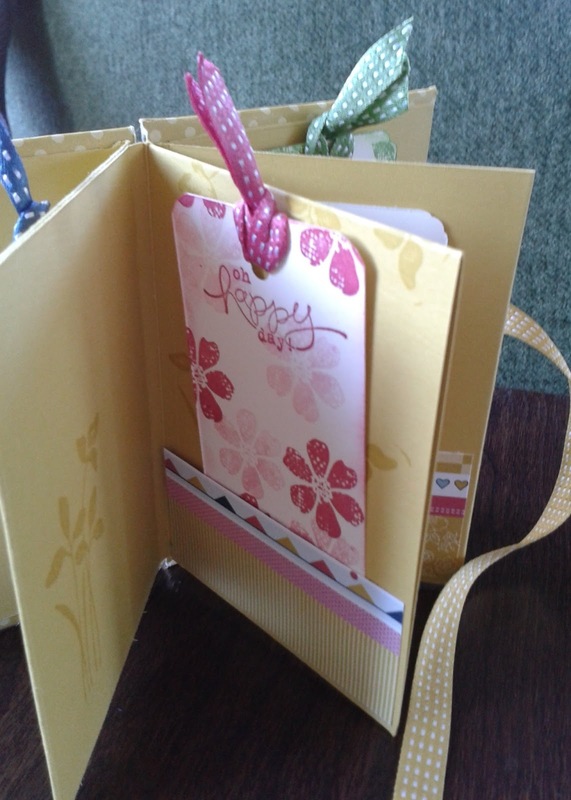 The 'my friend' set from last spring mini catalogue fitted the bill. 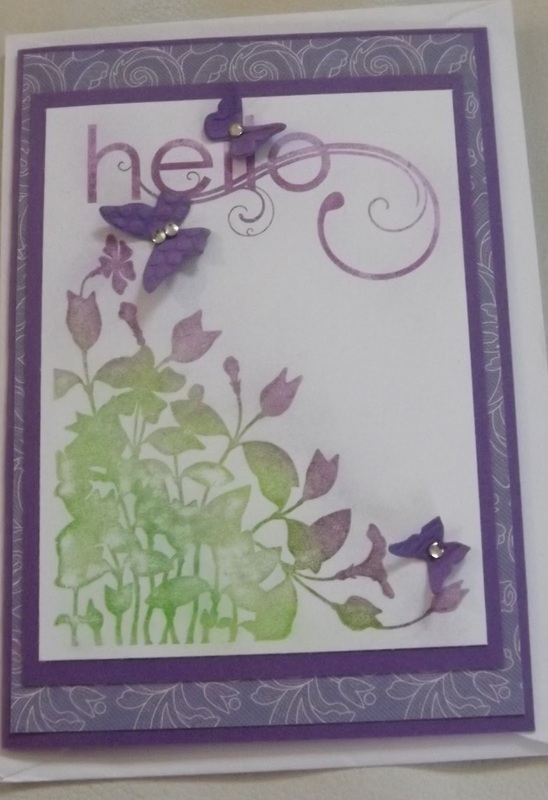 The butterfly die was still on my desk so it was used again. I'm not sure about this, what do you think? I can't believe its Thursday already, where has this week gone. And I have a busy weekend coming up with a full days training and three classes in a row! 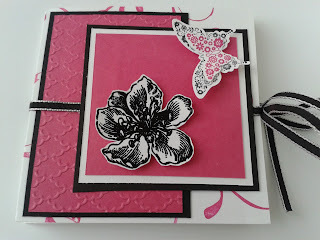 Today's card I have titled camouflage can you spot the largest butterfly? 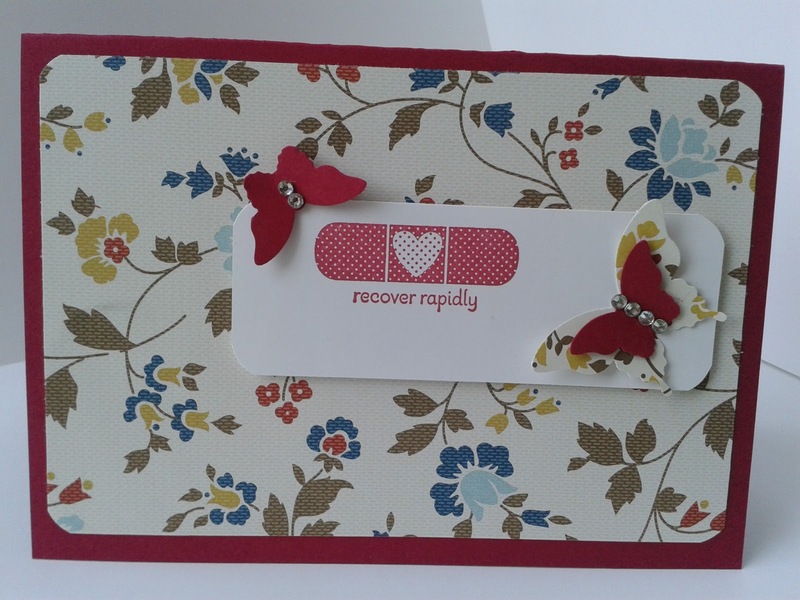 The butterfly paper is from 'pool party' I think its really pretty. 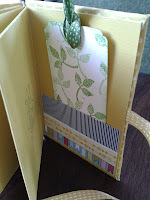 Card: Primrose petals, gumball green. 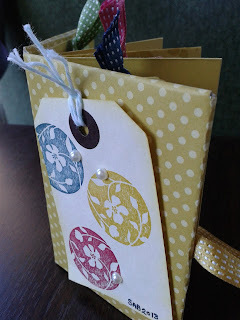 Today I have made 10 boxes for the 'Midgley Crafting Ladies' to fill on Monday 11th. The lids are made from thick acetate that has been recycled from the packaging of the 'orgasmic' chocolates that were sold in the shop over Christmas. The paper is from the Sale-a-bration Sycamore street which has a lovely selection of colours and patterns. Every box is different! Here are two of them. Each box will take six cards.